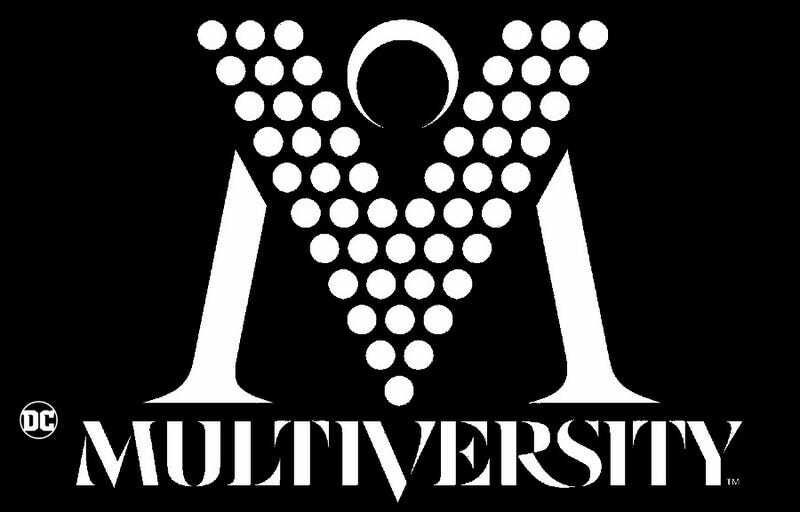 So in my list of three possible new shows for the Arrowverse, the last one I included was DC’s Multiversity, a show that would pull out all the stops by being part Legends of Tomorrow, part Crisis on Infinite Earths, and also flat out insane. I’ve been thinking about the logistics of the show since then and decided to flesh it out a bit more. So here we are in another installment of Hypothetical TV. #101/102: “Pilot, Parts 1 and 2"
The Monitor summons a large conglomeration of superheroes together at the House of Heroes in order to declare that the Crisis is finally here — the Crisis of All Worlds, the Infinite Crisis against the Final Enemy — and seven soldiers have been chosen to fight against the Agents of the Final Enemy. Seven soldiers: Hartley Rathaway of Earth-1, Jesse Wells of Earth-2, Mon-El of Daxam-38, Ray Terrill of Earth-10, Greg Sanders of Earth-18, Sir Ystina of Earth-41, and Marella of Earth-52. The first episode (“The Summoning”) flashes back to each character as they talk with their friends and then join the Monitor at the Ultima Thule. The second episode (“House of Heroes”) has them begin their first mission on Earth-61 against the supervillain Doctor Destiny. In the end, they defeat Doctor Destiny and the Monitor takes his Materioptikon, the source of his powers and places it in his machine at the heart of the House of Heroes. When the Monitor tells the heroes there is a “Red Sky” alert (large scale crisis) on Earth-43, they go in and find a world gone mad. A signal is going out on the airwaves causing the madness and they must find and stop the signal in order to stop everyone from killing each other. In the end, however, they find the signal was put in place by one of the most dangerous of supervillains: Roger Hayden, the Psycho-Pirate. A mission to Earth-74 to stop a rogue sentient AI named “Brother Eye” ends with the satellite defeated, but a member of the team (Jesse Quick) is infected with the Eye’s nanobots and will die if they don’t find a way to remove them. On Earth-72, the team meets another Agent of the Final Enemy: Neh-Buh-Lah, the huntsman to the Queen of Summer’s End, Gloriana Tenebrae. ﻿Just as the team realizes they might in over their heads, Neh-Buh-Lah brings forth an invasion by the Sheeda. With time running out, Vigilante elects to hold off the armies of the Sheeda while the others retreat to the House of Heroes. The team struggles with the loss of Vigilante as the Monitor brings in the newest member: Jiro Osamu of Earth-11, “Mister Unknown.” At first they mistrust him, but grow to know him after they help him defeat Lord Death-Man on his world. During the mission, however, Hartley comes across the legend of the “Seven Soldiers of Victory” who defeat the Final Enemy. He realizes that the reason the Monitor needs seven is because the Final Enemy knows this and is hunting seven soldiers and they are not the ones who will defeat the Final Enemy. They are merely decoys. On Halloween, the team travels to Earth-91, but gets separated from Ray. ﻿As Ray walks the silent streets, the team realize that this world is filled with darker creatures than they know and as the night goes on, the vampires come out to feast on the world. When the team confronts Mandrakk the Dark Monitor﻿, they realize that the Monitor is merely one of many Monitors, not all of them pleasant. Mandrakk’s plan is to unleash the Sun-Eater and make Earth-91 into a dark wasteland. Ray is able to create a miniature sun to distract the Sun-Eater, however, and kill Mandrakk’s vampire army, but Mandrakk himself escapes into the void between worlds. The team share stories from each of their recent travels to various Earths. Neh-Buh-Lah is dead and the armies of the Sheeda scattered. But Mageddon has been summoned. As the team tries to stop Mageddon, they realize that nothing has prepared them for this. The team is at a breaking point. They cannot trust the Monitor. He has been gathering pieces for his machine, a machine to combine the worlds together. “To make a better world,” he said. “One world made from all the others.” The team disagrees. And then, out of the void, comes Queen Gloriana and the Sheeda. As she attacks the House of Heroes, the team prepares to stop her with their lives. But the Monitor uses his machine — the Miracle Machine — to destroy her armies instead of its intended purpose. Finally, the Shining Knight plunges her sword into Gloriana’s chest, killing her. The Monitor tells the team that even though Gloriana was not the Final Enemy, she was the most immediate threat to the multiverse and with her dead, they may go if they want.